… it’s got to be good! Classic movies from the 30s, 40s, and 50s… do you have any favorites? 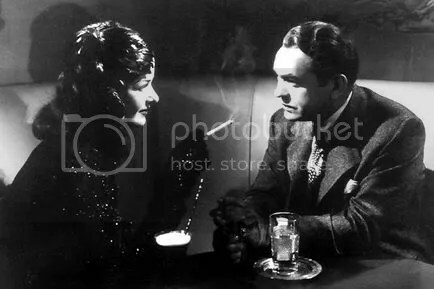 I just finished watching a great old movie with Edward G. Robinson, Joan Bennett, and Raymond Massey. I’ve seen it before, of course, but I love these old flicks. I can watch them over and over again. This one I’m talking about here is called The Woman In the Window. It’s a great suspense yarn about a professor (Edward G.) whose family is out of town. After leaving his club for the evening, he meets a woman (Joan Bennett) who inadvertently leads him into misadventure and well… more misadventure. Ain’t that just like a mysterious broad? This movie is just one example. I love old black and white movies. I guess it comes from growing up with depression era parents who grew up watching these movies at the theater in town every Saturday. My father often told me stories of going to the matinee with his brother Pete on Saturday afternoons in New York in the 30s and early 40s. He had to shine shoes to earn the quarter that it cost for the movie, a drink, and a candy bar. Another favorite of mine is The Maltese Falcon, with Humphrey Bogart, Sydney Greenstreet, Peter Lorre, and Mary Astor. It’s absolutely outstanding. I’ve probably seen this movie twenty times or more, but then… I’m a Humphrey Bogart fan from way back. I love anything with Bogie in it. 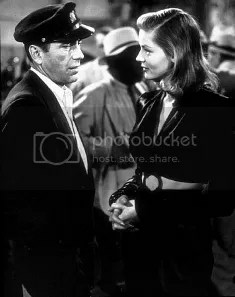 Just last Saturday night, I watched To Have and To Have Not, with Bogie and Bacall. It don’t get no better than that. Well, sure it does, actually. There’s Bogie and Bette in Dark Victory. Don’t miss it! Sorry you young whipper-snappers (under 45) out there. There isn’t any computer generated special effects or high speed chases or blood & gore in these flicks. Back then, they had to depend on good stories and great acting to make a movie worthwhile to watch. Some of the best movies were filmed on one or two studio sets. Direction was critical. There were some great directors out there, too… Howard Hawks, John Huston, Frank Capra, etc. Lastly, one of the greatest movies ever made, in my humble opinion… King’s Row, with Robert Cummings, Ronald Reagan, Ann Sheridan, and Claude Rains. 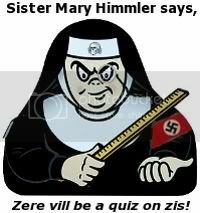 It was based on the book of the same name by Henry Bellamann. I’ve read this book and the sequel written from his notes by his wife Katherine Bellamann. Both were excellent, but the movie is just peerless. If you ever get the chance to see any of these movie or the hundreds more classics out there like Casablanca, Angels With Dirty Faces, The Treasure of Sierra Madre, etc., I think you’ll begin to see how we connoisseurs of black and white have come to love them so much. Watch with an open mind. Remember, this was back when actors acted. That world has moved on, I’m afraid. Well, gotta’ go make some popcorn. Another classic is coming on in a few minutes. Posted by V. T. Eric Layton on 1 February 2012 in Entertainment, Reminiscences and tagged Ann Sheridan, Bette Davis, Black and White, classic movies, Claude Raines, Edward G. Robinson, Henry Bellaman, humphrey bogart, Kings Row, Lauren Bacall, Ronald Reagan.